Picturesque surroundings, a source of pride and pleasure, a place for priceless memories to multiply with time. A Classic Pool and Patio is more than just a mere extension of your home, it’s an expression of your personality, a reflection of your style. It shows your willingness to set a goal and strive for what you want. It’s the realization of a dream, and it says that you’ve arrived. Day or night, it’s easy to see how a pool and patio from Classic delivers non-stop satisfaction. Beyond its visually striking presence is the promise of a good time every time you use it. From soothing relaxation in a bubbly effervescent spa, to splash-filled family recreation in the swimming pool, to entertaining a few close friends, or throwing a large party, you’ll love the versatility it provides for making every moment count. 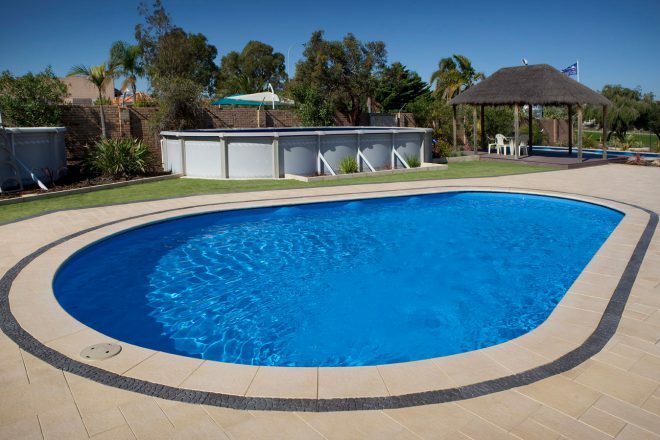 Nothing quite transforms a backyard space like a pool and patio from us.